Much like our friends across the pond in Kentucky, we here at the G&G aren’t afraid of the whiskey's spicier cousin, bourbon. Our mates at Wild Turkey have extended their longbranch to our G&G family, in showcasing their small batch Kentucky bourbon, Wild Turkey Longbranch. Everyone has one of those friends who becomes part of their family (and probably talks to your ma’ more than you do). That, my friend, is the definition of Longbranch; those extended branches of your family tree. With dreamboat Matthew McConaughey on board as Creative Director for Wild Turkey since 2016, they created a bourbon that would not only celebrate his Texan roots, but blend with his new Wild Turkey family to create something exceptional. Don’t take our word for it – try it for yourself with this scrumptious Longbranch Citrus Highball. Place Wild Turkey Longbranch in highball glass. Top with ice, PS40 Smoked Lemonade, lemon juice and soda water. 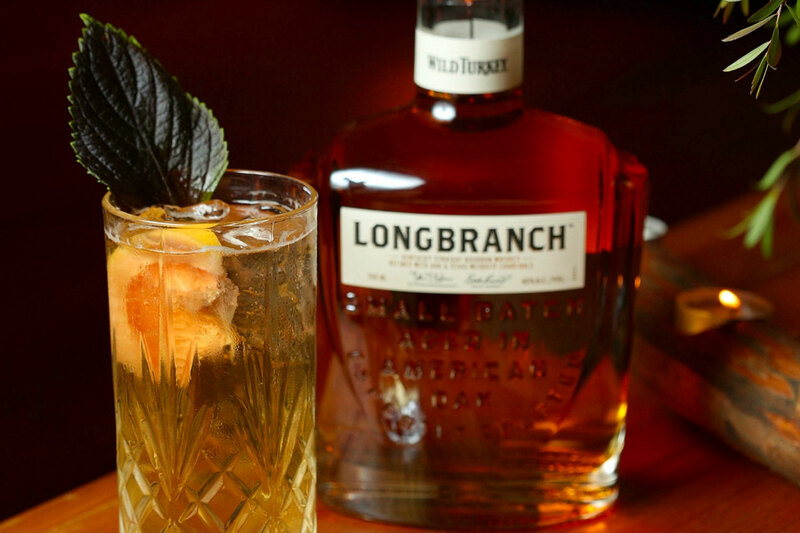 Extend your hand to your longest branch this spring, and share a few Wild Turkey Longbranch Citrus Highballs.